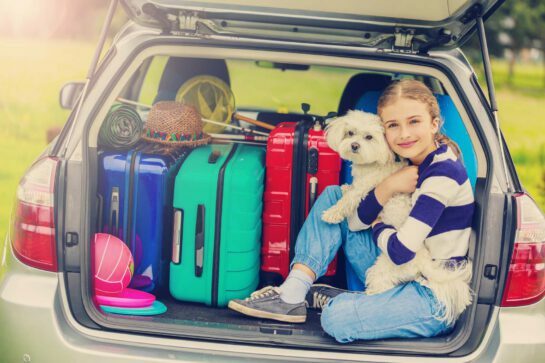 School is out and you and your family are getting ready to head out on summer vacation. Whether you have planned a luxurious vacation by the pool or a camping adventure, we have some summer vacation essentials that you don’t want to leave behind. All of these places can get rather pungent on vacation. Sweaty shoes, stinky towels, musty sleeping bags and eau-de-chlorine wafting from the swimming pool These oh-to-familiar smells of summer vacation can overwhelm our olfactory senses. Our fix? Body Linen Spray to the rescue. It’s formulated especially for you to add your favorite Essential Oils and blends for the perfect, long-lasting spray for your hotel room, car, tent, or body. Lavender Essential Oil Spray – Make a quick and easy spray to use in the car, tent or hotel room. Lavender is naturally calming so it’s a lifesaver if you’re traveling with kids in the car. A few sprays and you’ll be amazed at how this helps keep fidgety kids mellow. It’s also great for freshening up tents and hotel rooms! Don’t Bug Me Essential Oil Spray – Formulated with Citronella, Eucalyptus, Cedarwood, Lemongrass, Lavender, Litsea, Tea Tree, Patchouli, and Catnip, this is a great non-toxic alternative to traditional sprays. Our Hand Aloe Jelly can be used as a soap-free, leave-on hand cleanser. Perfect for long car rides, sticky fingers, and camping trips. The alcohol and Tea Tree Oil in the jelly are effective cleansers and Lime Essential Oil leaves a clean scent on your hands. If your vacation includes swimming in a pool these two products make a dynamic duo and important additions to your travel bag. The activated charcoal binds to chlorine molecules and rinses them out of your hair. Add some Lavender Essential Oil or Grapefruit Essential Oil for a fresh clean scent. Planning on soaking up some sun? You’ll want to make sure you moisturize afterward and Vitamin C Crème is the perfect choice. The high concentration of Vitamin C Esters, Vitamin E, and organic extracts create a synergistic blend that helps resist the assault of free radicals that your skin encounters on a daily basis. We are sure these simple additions to your summer travel bag will help make your vacation as good as it can be! What would you add to this list of summer essentials? We’d love to hear from you.